Taking a family vacation this summer? Got your heart set on a road trip out to see your favorite drum corps on the road? Need a great hotel room at a great price for those trips? 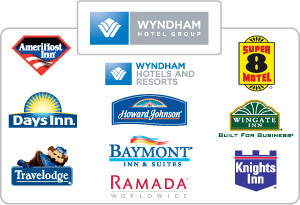 As the preferred hospitality partner of Drum Corps International, Wyndham Hotel Group has great discounted rates that you can take advantage of this weekend, this summer, and throughout the rest of the year. Baymont Inn & Suites - 1-800-980-1679 * "Best Available Rate" is defined as the lowest rate publicly available to consumers on the Internet. To redeem this offer, call the hotel brand phone number above and give ID 1000000634 at the time of reservation. Offer not valid if hotel is called directly, caller must use toll free numbers listed above. Advanced reservations are required. Offer is subject to availability at participating locations and some blackout dates may apply. Discount is 10% off "The Best Available Unrestricted Rate" and cannot be combined with any other discounts, offers, or special promotions. Discounts vary by location and time of year. Offer is void where prohibited by law and has no cash value. ** Discount for Wyndham Hotels and Resorts properties is scheduled to be available later this year.